Growing up in our Haitian household, our spice cabinent contained a whole lot more than just salt and pepper. If anything, you were sure to spot something marked Maggie or Goya. As important as rice is to our culture, you can't be complete without Maggie or Goya. It just isn't natural. 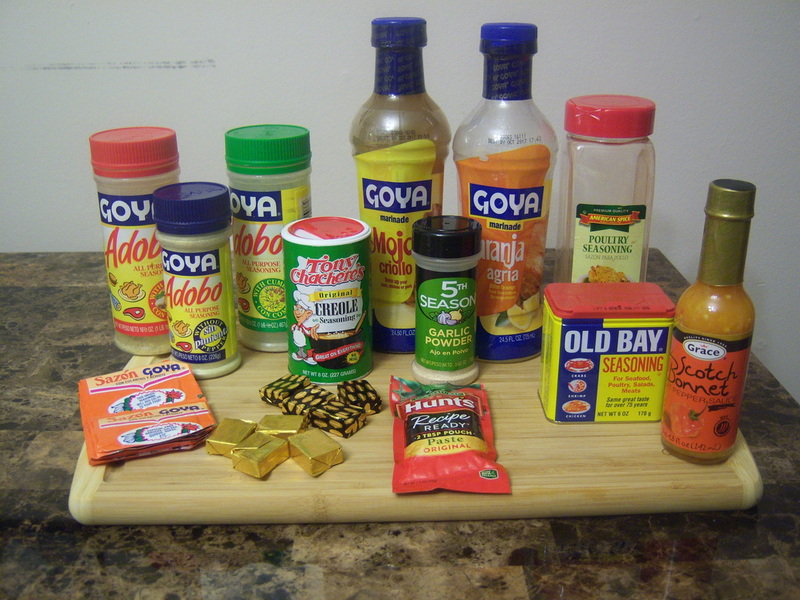 A lot of my recipes contain certain spices that are different from your regular salt, pepper, garlic powder, and parsley variety and I wantd to use this area to show you what I normally have on hand. Some items may potentially be hard to find (depending on where you normally shop) but the investment is just what your tastebuds need to kick it up a notch. Are any of these already in your spice cabinent? Which ones are your favorite? What spices do you use and recommend?